Make early mornings more bearable with perfect toast. 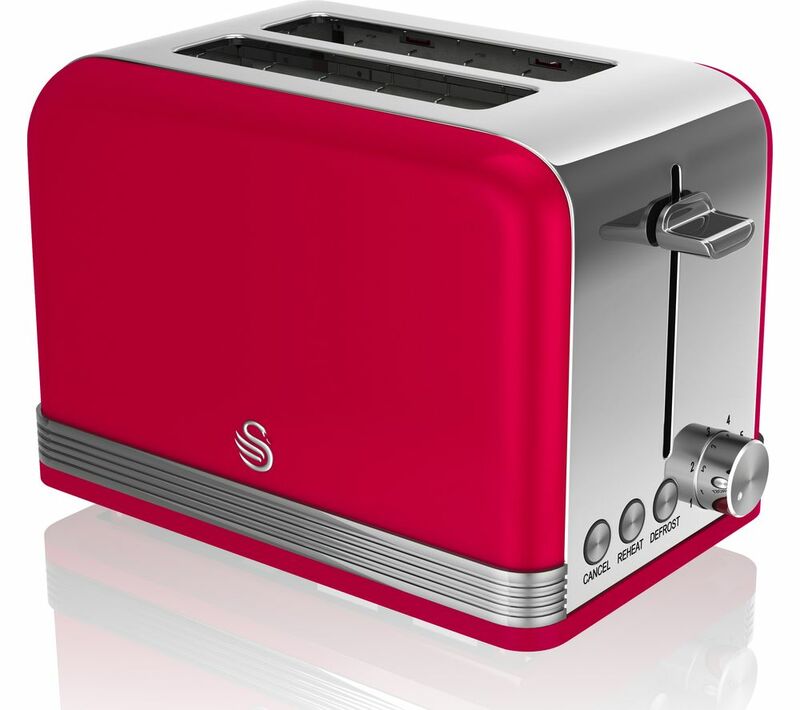 The Swan ST19010RN 2-Slice Toaster has six levels of browning, so you can always have your toast just as you like it. 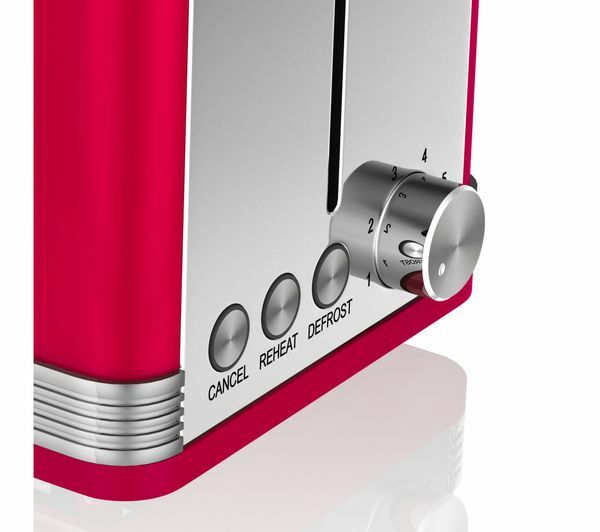 Don't worry if your toast has gone cold, warm it up again with a reheat function. 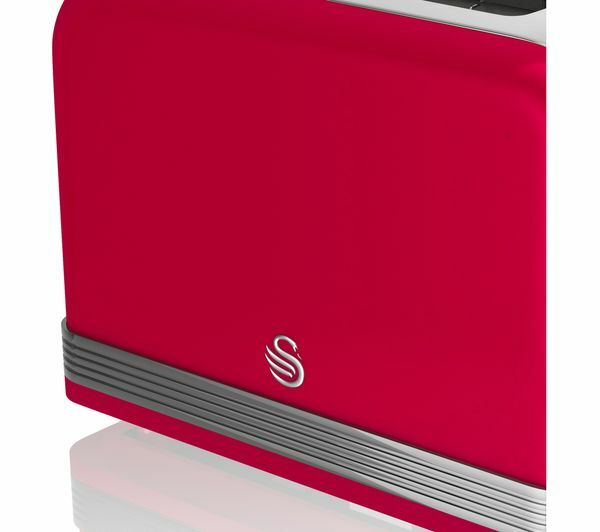 Defrost frozen bread quickly whenever you fancy a bit of toast thanks to a defrosting function. A slide-out crumb tray keeps your kitchen worktop free of crumbs.